Nice to meet you. It is mia. The number of lessons will soon reach 100th person! Thank you very much! ! 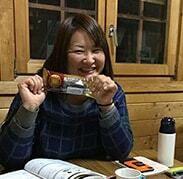 About four years ago, I am studying with foreigners who study Japanese with volunteer teachers.